w00t! I got it. 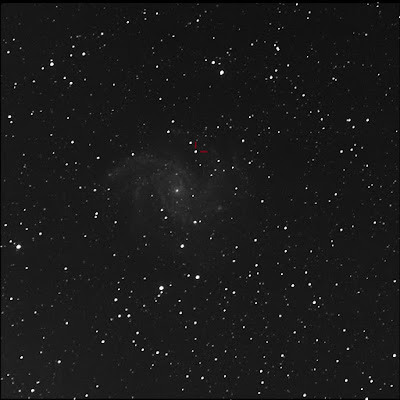 BGO imaged the Fireworks galaxy aka NGC 6946 with active supernova 2017eaw. Luminance only, 60 seconds subexposures, 10 stacked shots. FITS Liberator, Paint. North is up; left is east. 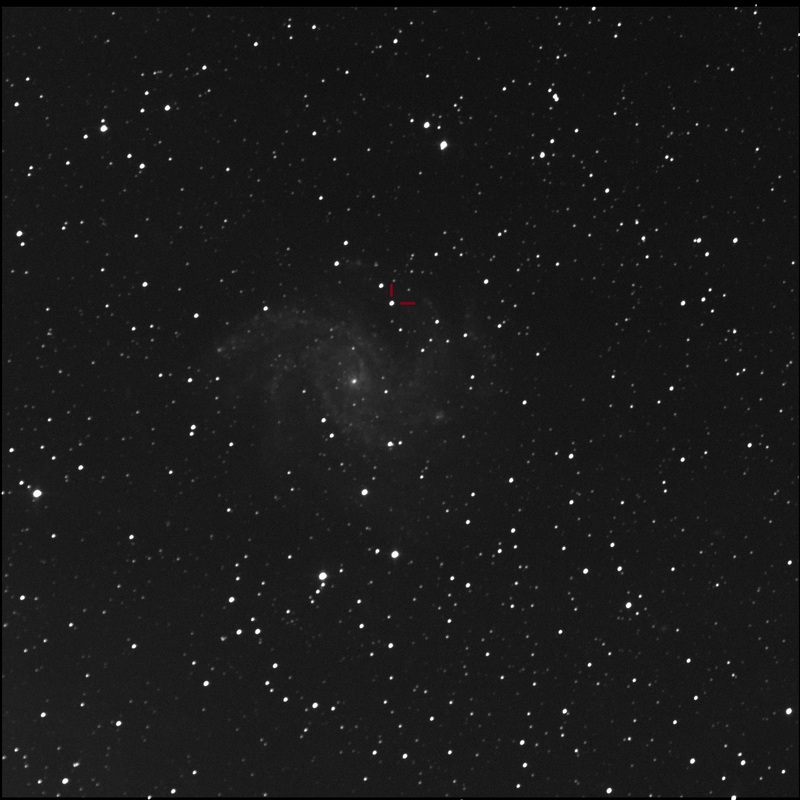 I first imaged this galaxy last year.